Opinion on Husky 20 Gallon aircompressor. 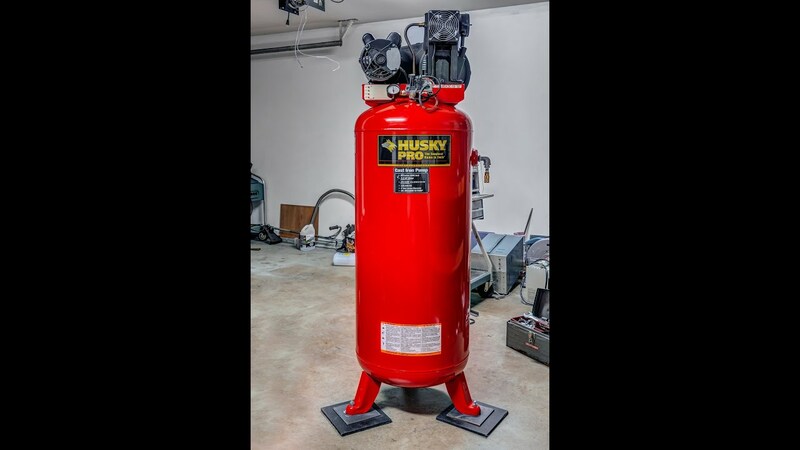 Thread: Opinion on Husky 20 Gallon aircompressor. Another thing all too often overlooked, changing comp oil at least once a year + regularly draining water out of the air tank. Not sure who makes the Kobalt units, but it looks a lot like the CH. looks like a decent unit, should serve you well. Edit: remove the stock air filter and replace with a Solberg, makes a noticeable difference in noise reduction. There are several... which one is best?